Here's another of our vintage plaques, though this one is silver toned, and is set with vintage opaque rose Swarovski crystal rhinestones. 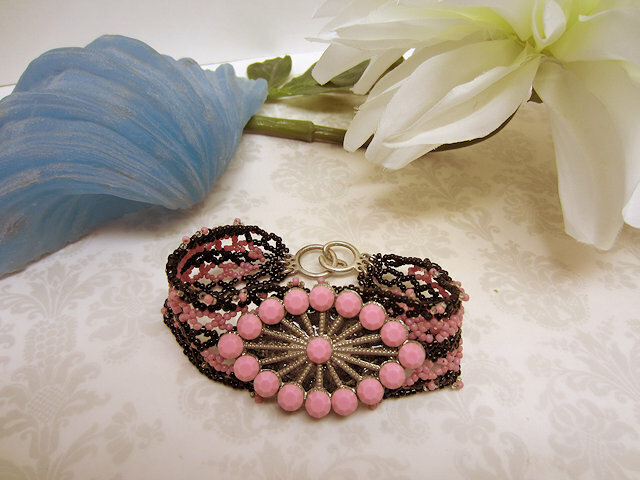 I've bonded the plaque to an oval of black leather, and stitched that to a netted cuff of black and vintage French opaque rose seed beads. 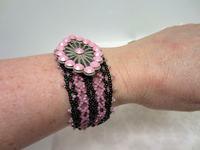 There's a pique trim at the edges featuring the rose seed beads and smaller silvery seed beads. The bracelet's about 1-1/4" wide by 8-1/4" long and closes with a silver tone hook set. This art deco darling is brought to you by SPARKLE PLENTY. 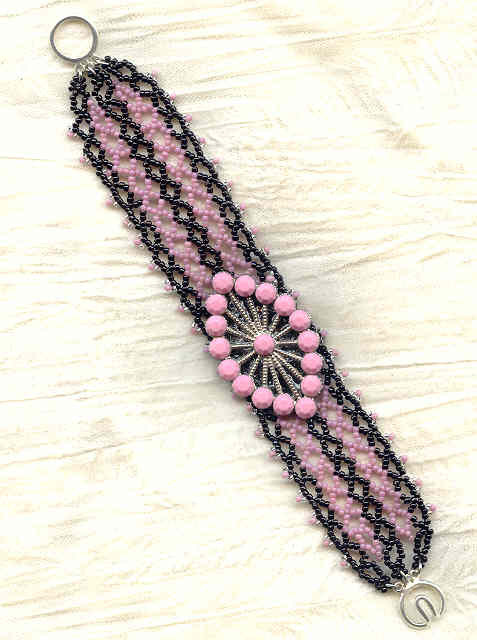 Deep red seed beads with crystal clear rhinestones combine beautifully in this lacey party bracelet.